On April 6th, 2015, I posted Requiem for a low pass filter acknowledging that the smoothing filter as I had implemented it in the beta version of Syuzhet was not performing satisfactorily. 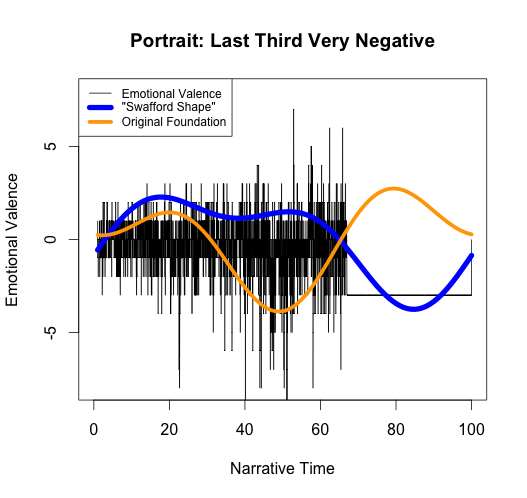 Ben Schmidt had demonstrated that the filter was artificially distorting the edges of the plots, and prior to Ben’s post, Annie Swafford had argued that the method was producing an unacceptable “ringing” artifact. Within days of posting the “requiem,” I began hearing from people in the signal processing community offering solutions and suggesting I might have given up on the low pass filter too soon. One good suggestion came from Tommy McGuire (via the Syuzhet GitHub page). 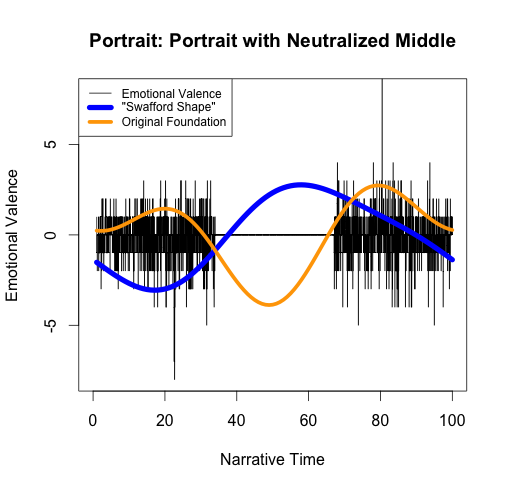 Tommy added a “padding factor” argument to the get_transformed_values function in order deal with the periodicity artifacts at the beginnings and ends of a transfomred signal. McGuire’s changes addressed some of the issues and were rolled into the next version of the package. A second important change was the addition of a function similar to the get_transformed_values function but using a discrete cosine transformation (see get_dct_transform) instead of the FFT. 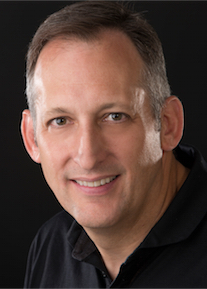 The idea for using DCT was offered by Bradley Riddle, a signal processing engineer who works on time series analysis software for in-air acoustic, SONAR, RADAR and speech data. 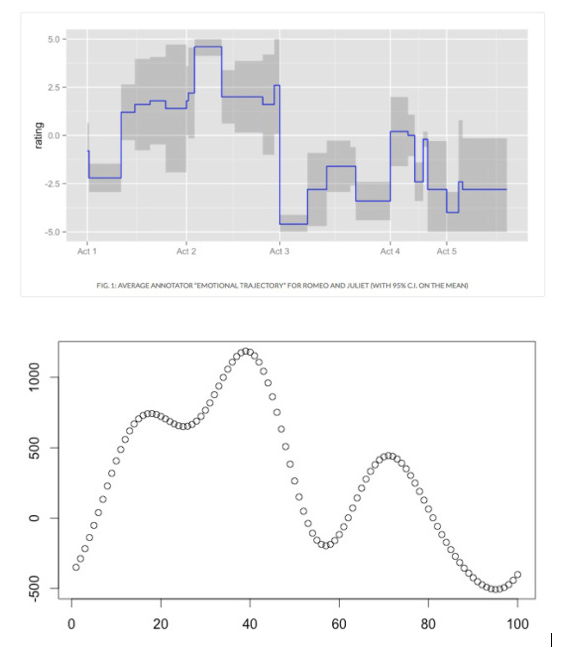 DCT appears to have satisfactorily solved the problem of periodicity artifacts, but users can judge for themselves (see discussion of simple_plot below). In the latest release (April 28, 2016), I kept the original get_transformed_values as modified by Tommy McGuire and also added in the new get_dct_transform. 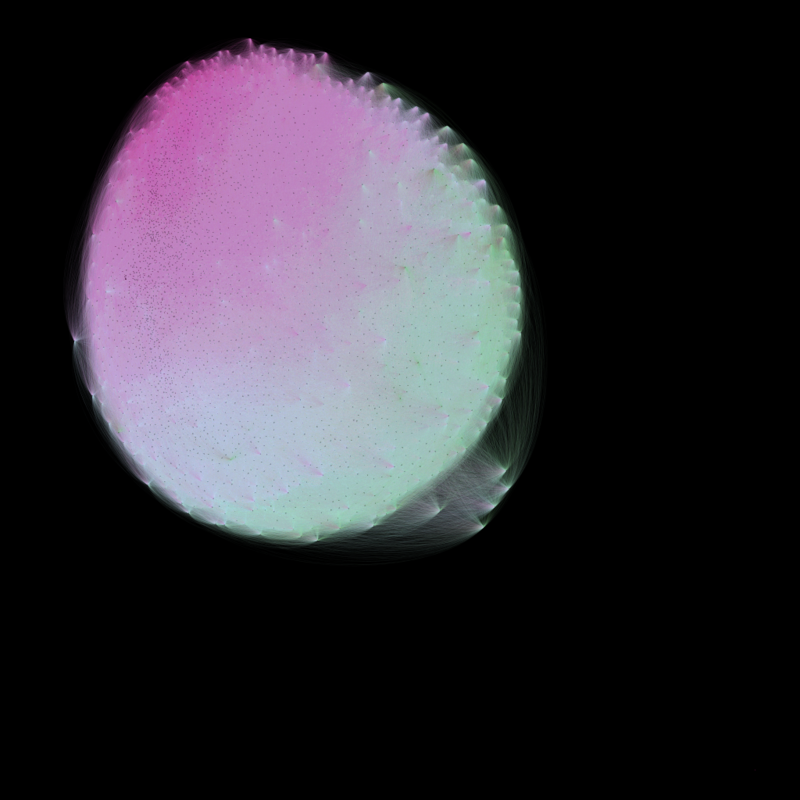 The DCT is much better behaved at the edges, and it requires less tweaking (i.e. no padding). 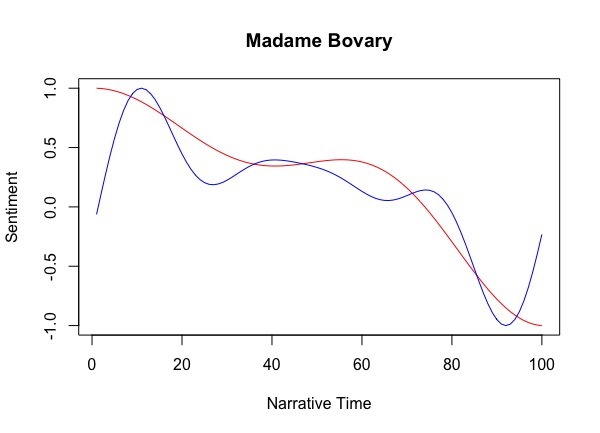 Figure 1 shows a plot of Madame Bovary (the text Ben had used in his example of the edge artifacts) with the original plot line (without Tommy McGuire’s update) produced by get_transformed_values (in blue) and a new plot line (in red) produced by the get_dct_transform. 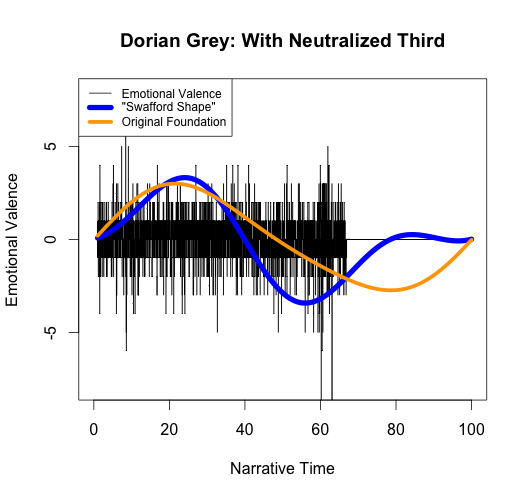 The red line is a more accurate representation of the (tragic) plot as we know it. 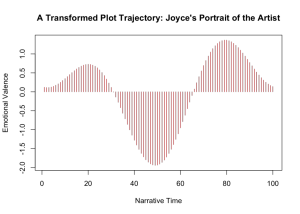 Like the original get_transformed_values, the new get_dct_transform implements a low-pass filter to handle the smoothing. For those following the larger discussion, note that there is nothing unusual or strange about using low-pass filters for smoothing data. Indeed, the well known moving average is an example of a low-pass filter and a simple Google search will turn up countless articles about smoothing data with FFT and DCT. The trick with any smoother is determining how much smoothing you want to do. With a moving average, the witchcraft comes in setting the size of the moving widow to determine how much noise to remove. 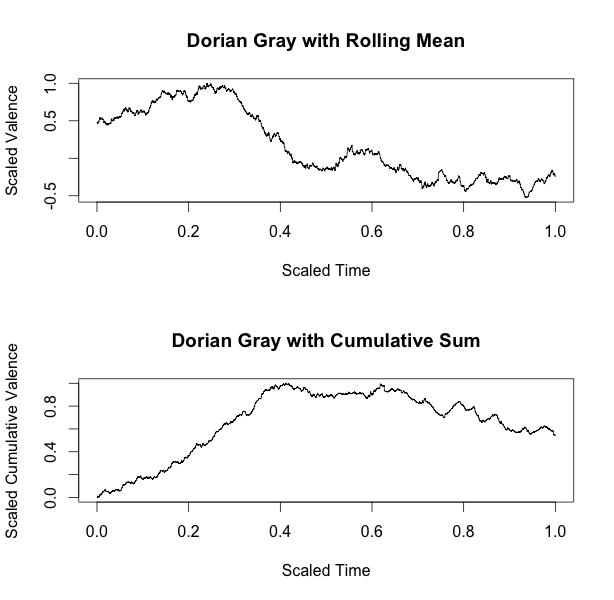 With the get_dct_transform it is about setting the number of low frequency components to retain. 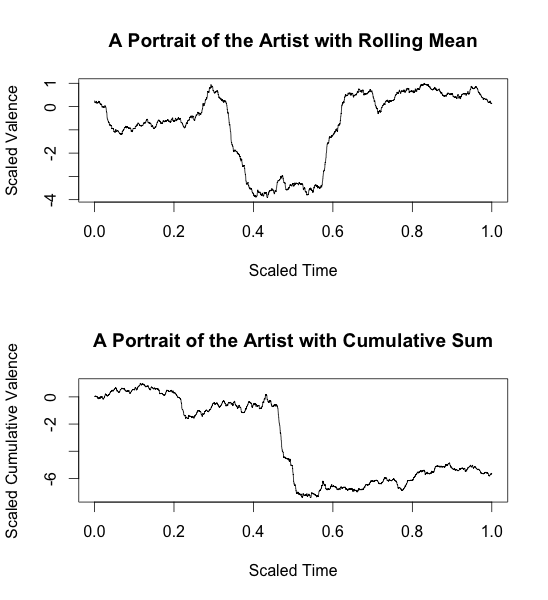 In any such smoothing you have to accept/assume that the important (desired) information is contained in the lower frequency variation and not in the higher frequency noise. The other change in the latest release is the addition of a custom sentiment dictionary compiled with help from the students in my lab. 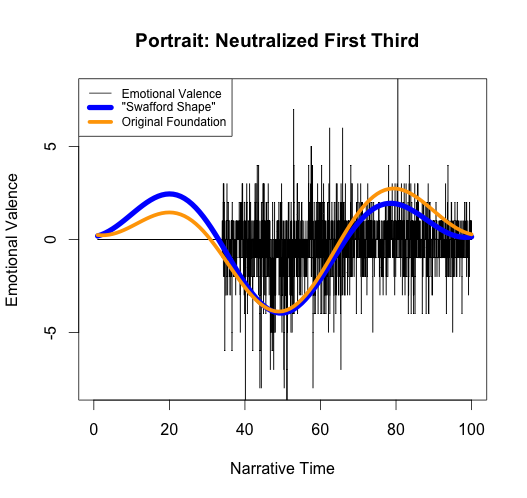 I have documented the creation and testing of that dictionary in two previous blog posts: “That Sentimental Feeling” (12/20/2015) and “More Syuzhet Validation” (August 11, 2016). 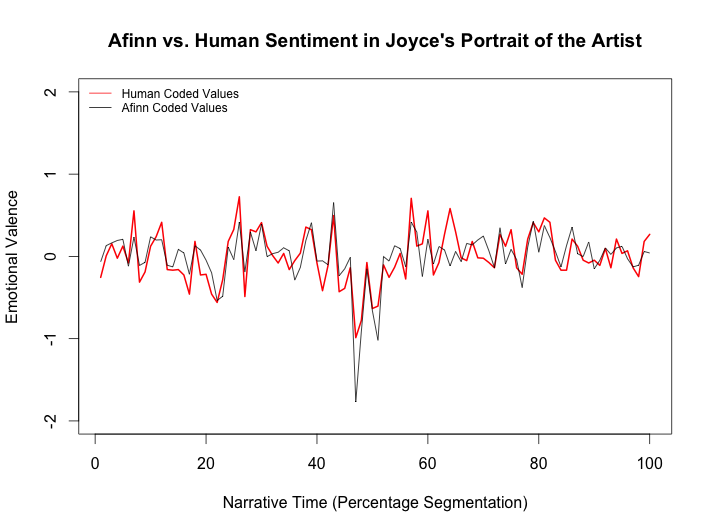 In these posts, human coded sentiment data is compared to machine derived data in eleven well known novels. We still have more work to do in terms of tweaking and validating the dictionary, but so far it is performing as well as the other dictionaries and in some case better. 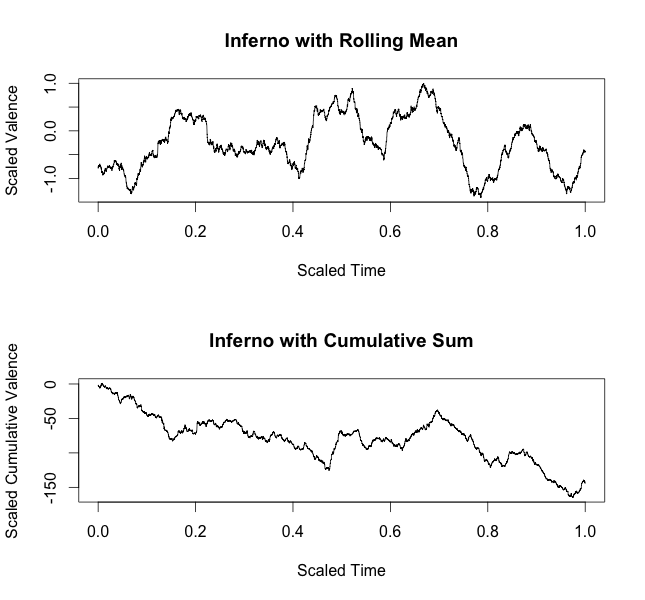 Also worth mention here is yet another smoothing method suggested by Jianbo Gao, who has developed an innovative adaptive approach to smoothing time series data. 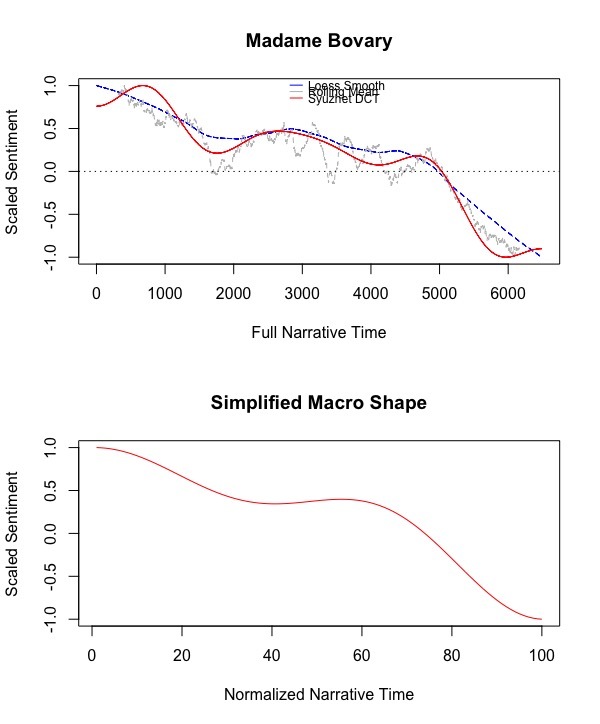 Jianbo and I met at the Institute for Applied Mathematics last summer and, with John Laudun and Timothy Tangherlini, we wrote a paper titled “A Multiscale Theory for the Dynamical Evolution of Sentiment in Novels” that was delivered at the Conference on Behavioral, Economic, and Socio-Cultural Computing last November. 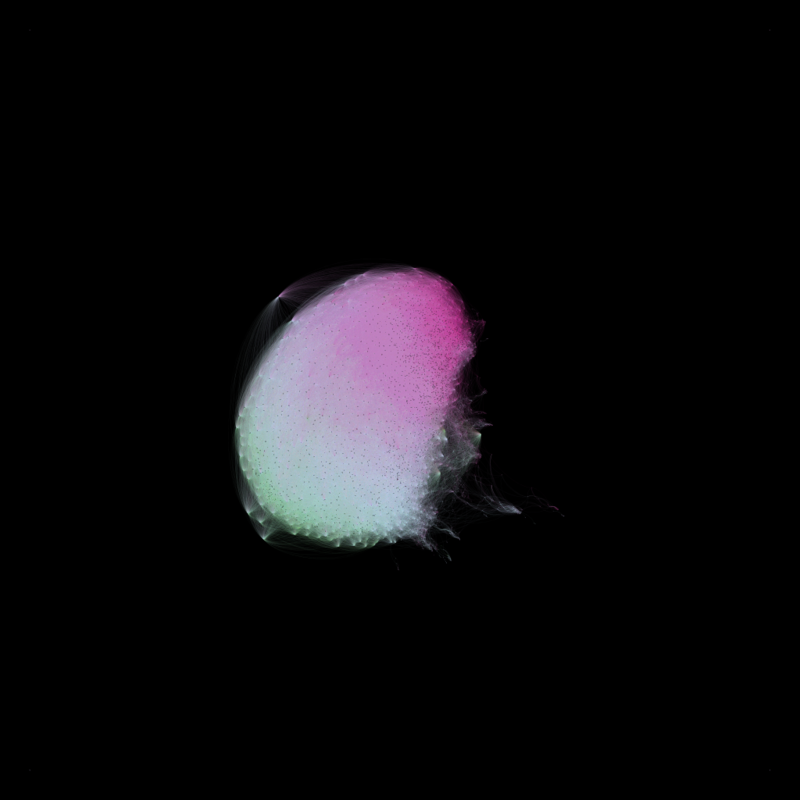 I have not found the time to implement this adaptive smoother into the Syuzhet package, but it is on the todo list. Also on the todo list for a future release is adding the ability to work with languages other than English. Thanks to Denis Roussel, GitHub contributor “denrou”, this work is now progressing nicely. Over the past few years, a number of people have contributed to this work, either directly or indirectly. I think we are making good progress, and I want to acknowledge the following people in particular: Aaron Dominguez, Andrew Piper, Annie Swafford, Ben Schmidt, Bradley Riddle, Chris Stubben, David Bamman, Denis Roussel, Drue Marr, Ellie Wilke, Faith Aberle, Felix Peckitt, Gabi Kirilloff, Jianbo Gao, Julius Fredrick, Lincoln Mullen, Marti Hearst, Michael Hoffman, Natalie Mackley, Nissanka Wickremasinghe, Oliver Keyes, Peter Organisciak, Roz Thalken, Sarah Cohen, Scott Enderle, Tasha Saathoff, Ted Underwood, Timothy Schaffert, Tommy McGuire, and Walter Jacob. (If I forgot you, I’m sorry, please let me know). 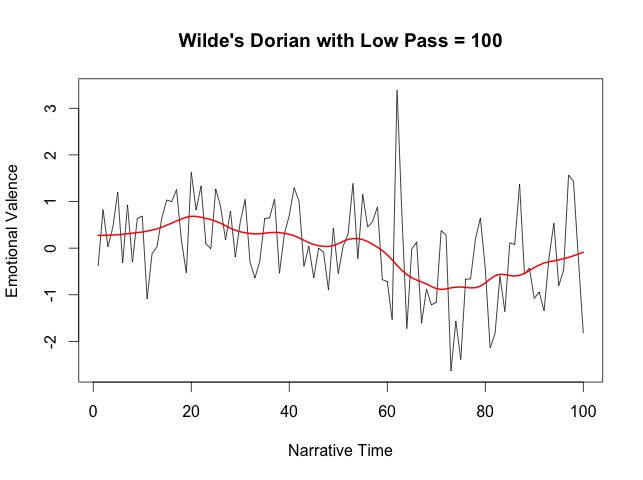 Eight months ago I began a series of blog posts about my experiments using sentiment analysis as a proxy for plot movement. 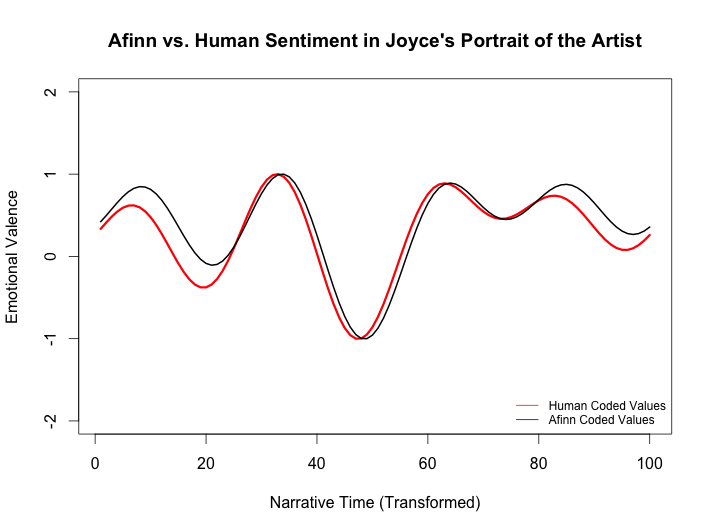 At the time, I had done a fair bit of anecdotal analysis of how well the sentiments detected by a machine matched my own sense of the sentiments in a series of familiar novels. 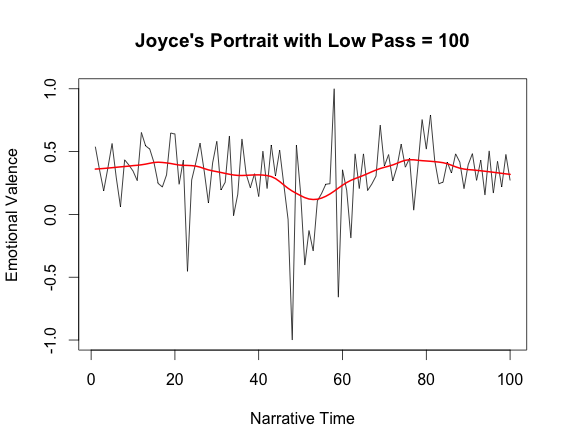 In addition to the anecdotal spot-checking, I had also hand-coded every sentence of James Joyce’s novel Portrait of the Artist as a Young Man and then compared the various machine methods to my own human coded values. 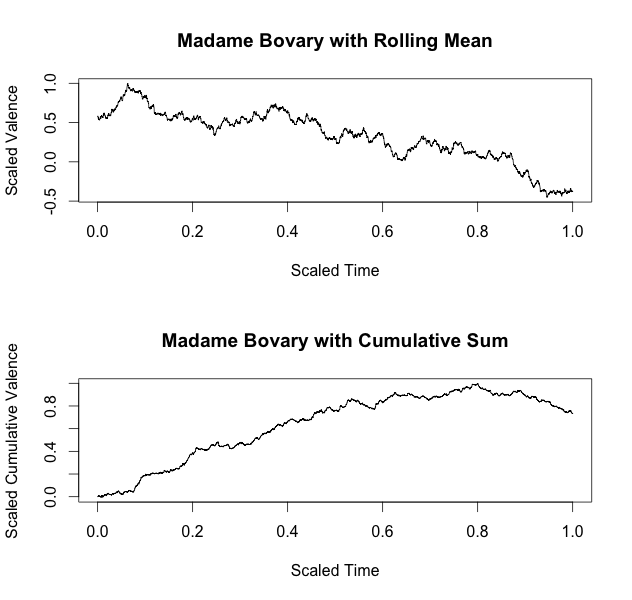 The similarities (seen in figure 1) were striking. 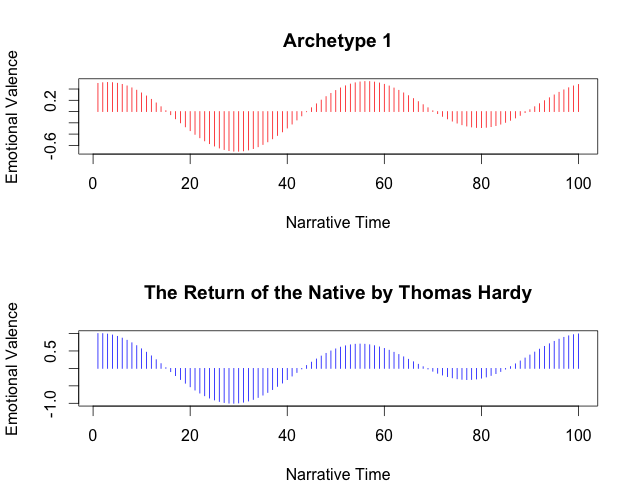 Soon after my first post about this work, David Bamann hired five Mechanical Turks to code the sentiment in each scene of Shakespeare’s Romeo and Juliet. 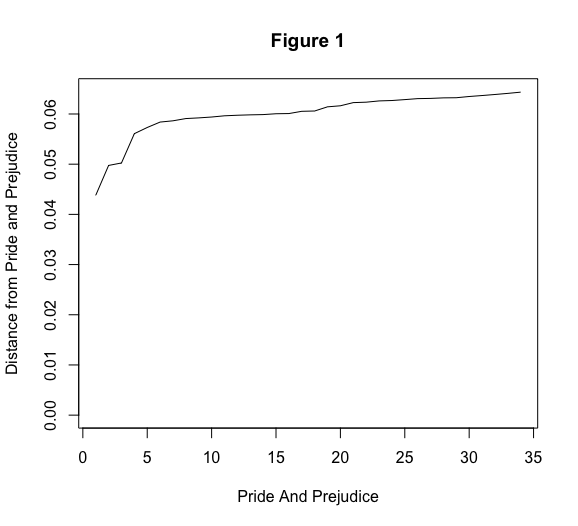 David posted his results online and then Ted Underwood compared the trajectory produced by David’s turks to the machine values produced by the Syuzhet R package I had developed. 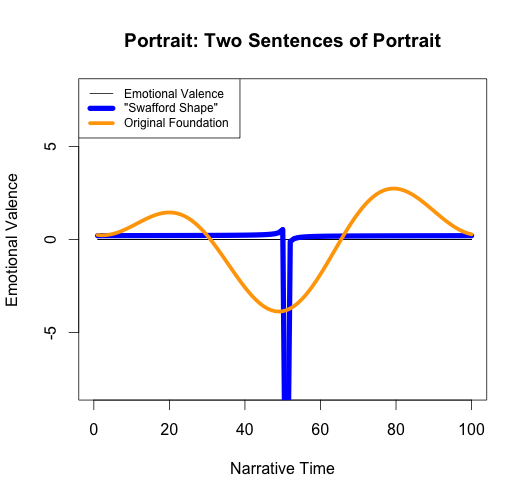 Even though David’s Turks had coded scenes and Syuzhet had coded sentences, the human and machine trajectories that resulted were very similar. 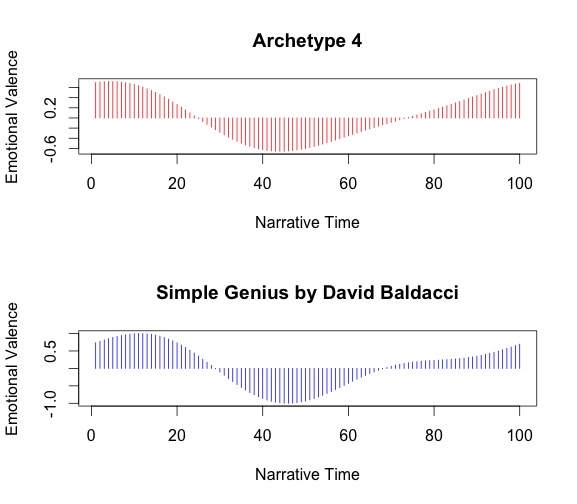 Figure 2 shows the two graphs, first from David’s blog and then from Ted’s. Before releasing the package, I was fairly confident that the machine was doing a good job of approximating what human beings would think. I hoped that others, like David and Ted, would provide further validation. 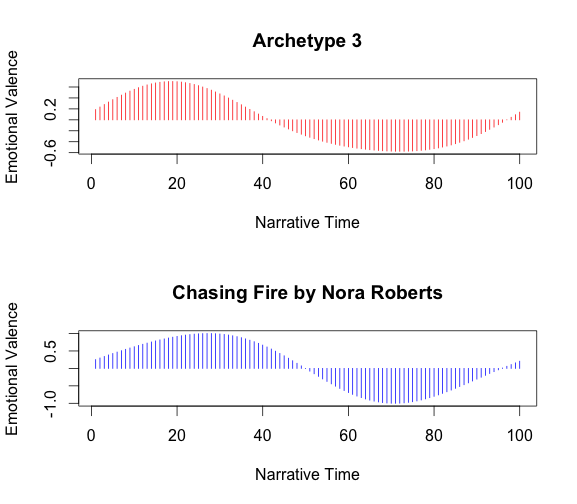 Many folks posted results online and many more emailed me saying the tool was producing trajectories that matched their sense of the novels they applied it to, but no one conducted anything beyond anecdotal spot checking. 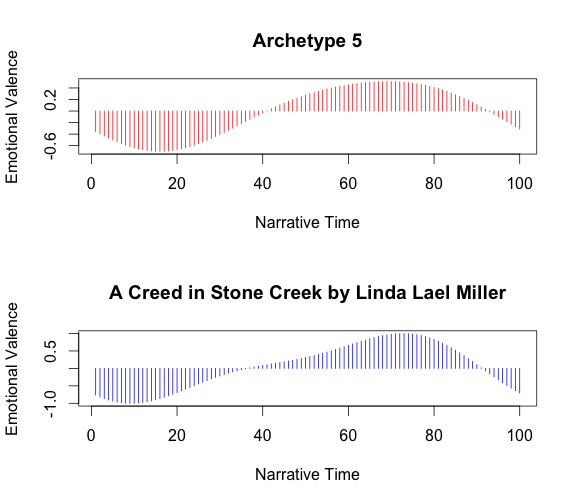 After returning to UNL in late August (I had been on leave for a year), I hired four students to code the sentiment of every sentence in six contemporary novels: All the Light We Cannot See by Anthony Doerr, The Da Vinci Code by Dan Brown, Gone Girl by Gillian Flynn, The Secret Life of Bees by Sue Monk Kidd, The Lovely Bones by Alice Sebold, and The Notebook by Nicholas Sparks. These novels were selected to cover several major contemporary genres. They span a period from 2003 to 2014. 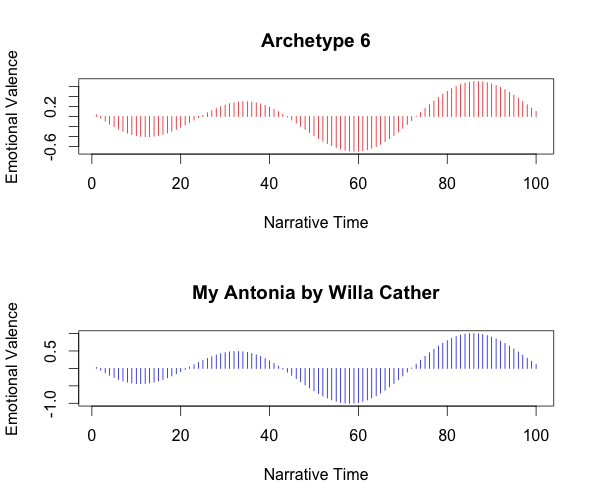 None are experimental in the way that Portrait of the Artist is, but they do cover a range of styles between what we might call “low-brow” to “high-brow.” Each sentence of each novel was sentiment coded by three human raters. 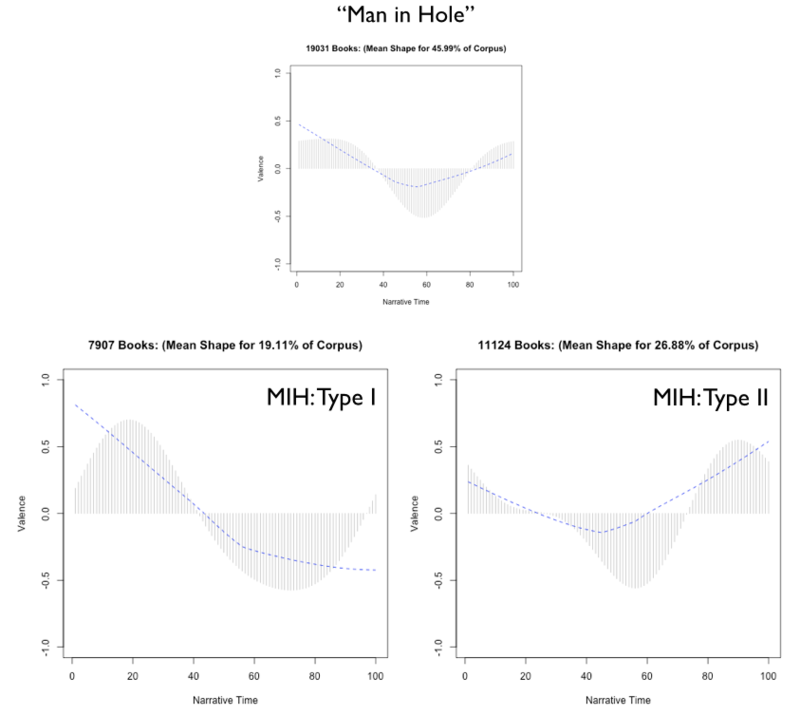 The precise details of this study, including statistics about inter-rater agreement and machine-to-human agreement, are part of a larger analysis I am conducting with Aaron Dominguez. 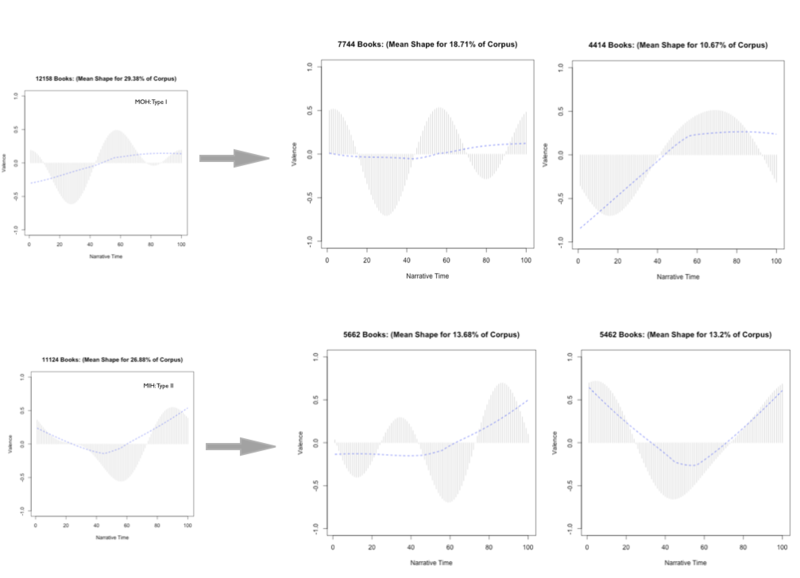 What follows are six graphs showing moving averages of the human coded sentiment along side moving averages from two of the sentiment detection methods implemented in the Syuzhet R package. 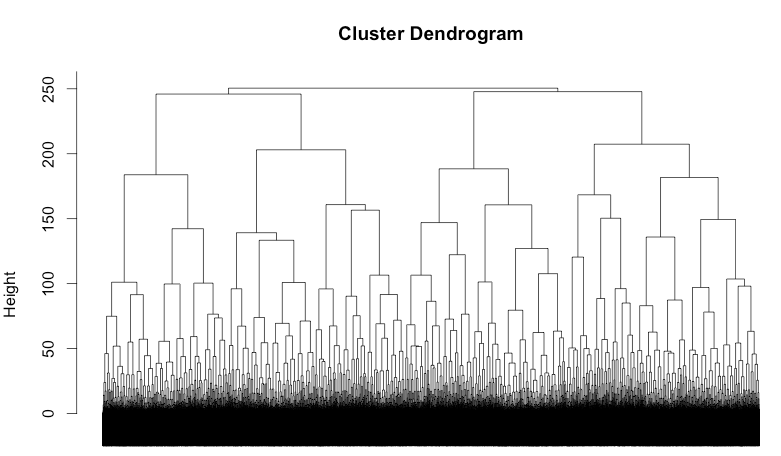 The similarity of the shapes derived from the the human and machine data is quite striking. 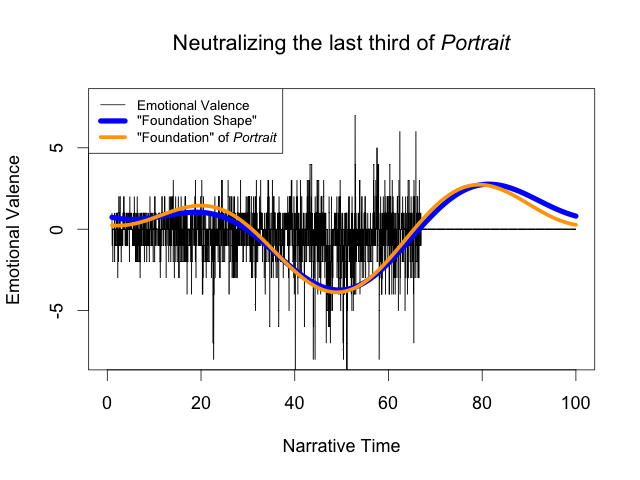 This morning Andrew N. Jackson posted an interesting alternative to the smoothing of sentiment trajectories. 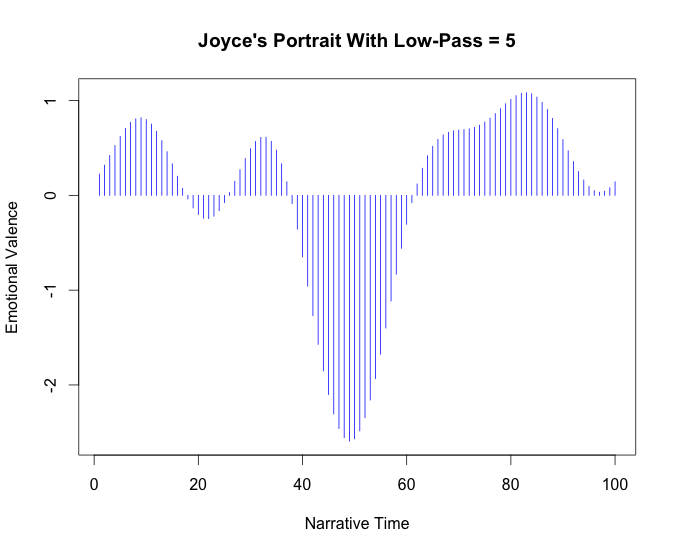 Instead of smoothing the trajectories with a moving average, lowess, or, dare I say it, low-pass filter, Andrew suggests cumulative summing as a “simple but potentially powerful way of re-plotting” the sentiment data. 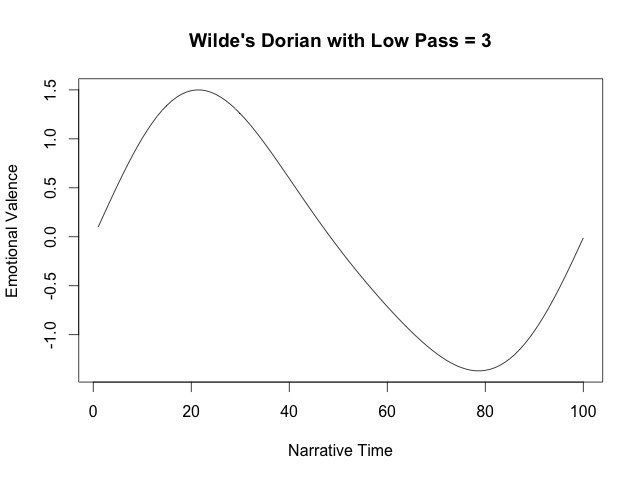 I spent a little time exploring and thinking about his approach this morning, and I’m posting below a series of “plot plots” from five novels. I’m not at all sure about how we could/should/would go about interpreting these cumulative sum graphs, but the lack of information loss is certainly appealing. 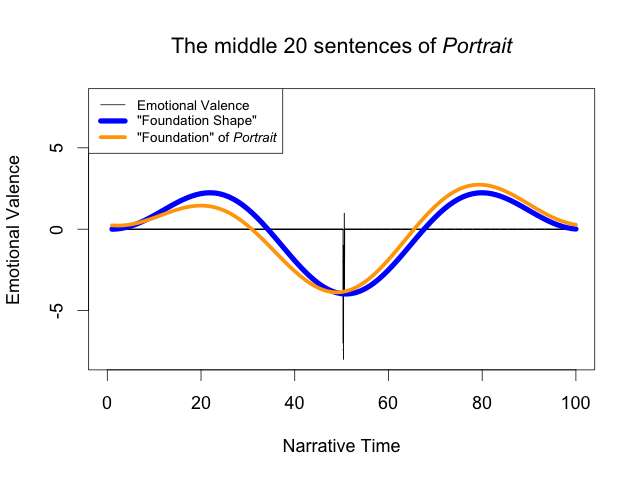 Looking at these graphs requires something of a mind shift away from the way that I/we have been thinking about emotional trajectories in narrative. 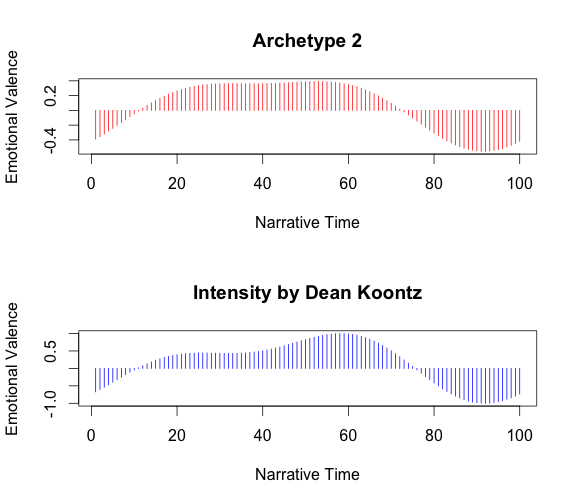 Making that shift requires reframing plot movement as an aggregation of emotional valence over time, a reframing that seems to be modeling something like the “cumulative effect on the reader” as Andrew writes, or perhaps it’s the cumulative effect on the characters? 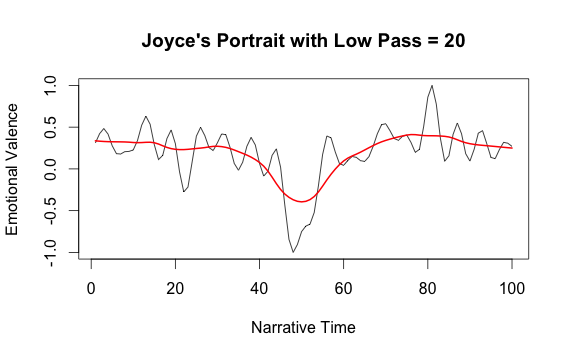 Whatever the case, it’s a fascinating idea that while not fully in line with Vonnegut’s conception of plot shape does have some resonance with Vonnegut’s notion of relativity. 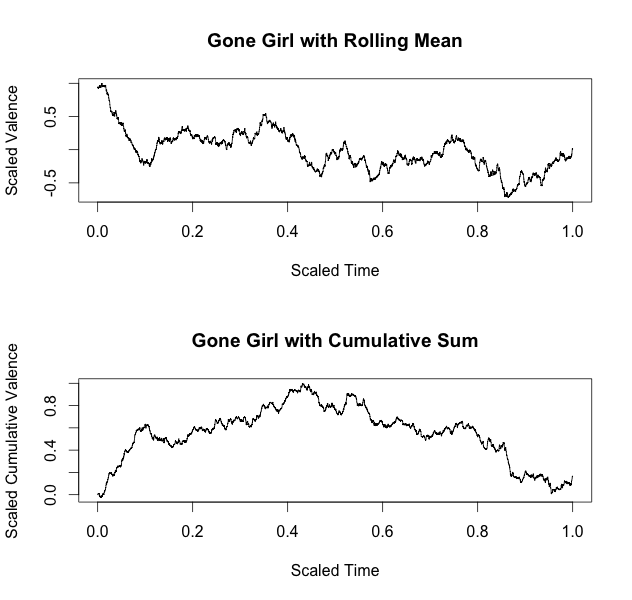 The cumulative shapes seen below in Portrait and Gone Girl are especially intriguing . . . to me. 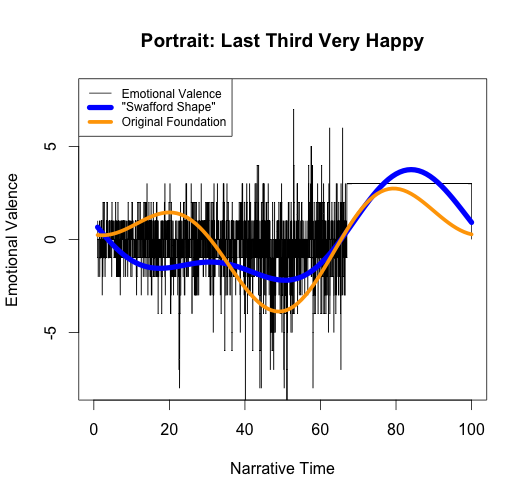 All of these plots use sentiment values extracted with the AFinn method, which is what Andrew implemented in Python. 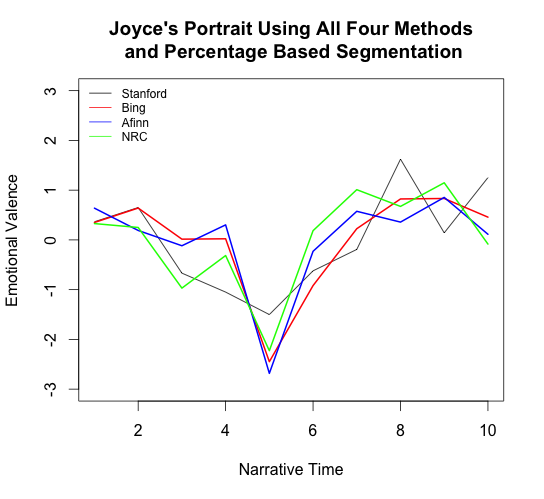 Andrew’s iPython notebook, by the way, is worth a close read; it provides a lot of detail that is not in his blog post, including some deeper thinking around the entire business of modeling narrative in this way. Reading Macroanalysis: The Hard Way! 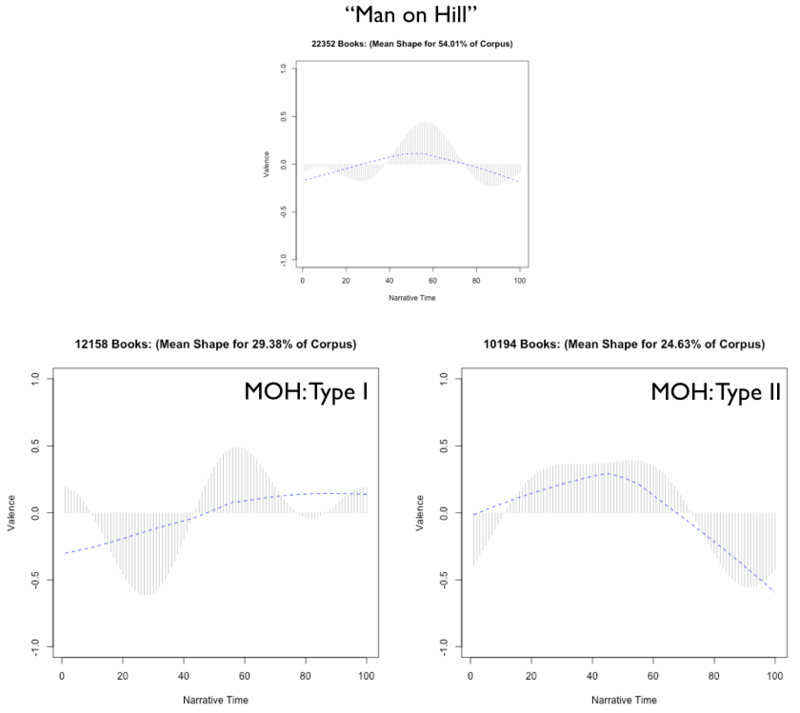 ≈ Comments Off on Reading Macroanalysis: The Hard Way! This past November, Judge Denny Chin ruled to dismiss the Authors Guild’s case against Google; the Guild vowed they would appeal the decision and two months ago their appeal was submitted. I’ll leave it to my legal colleagues to discuss the merit (or lack) in the Guild’s various arguments, but one thing I found curious was the Guild’s assertion that 78% of every book is available, for free, to visitors to the Google Books pages. Since 2005, Google has displayed verbatim text from copyrighted books on these pages. . . Google generally divides each page image into eighths, which it calls “snippets.”. . . Once a user retrieves a book through her initial search, she can enter any other search terms she chooses, and the author’s verbatim words will be displayed in three snippets for each search. Although Google has stated that any given search by a user “only” displays three snippets of each book, a single user can view far more than three snippets from a Library Project book by performing multiple searches using different terms, including terms suggested by Google. . . 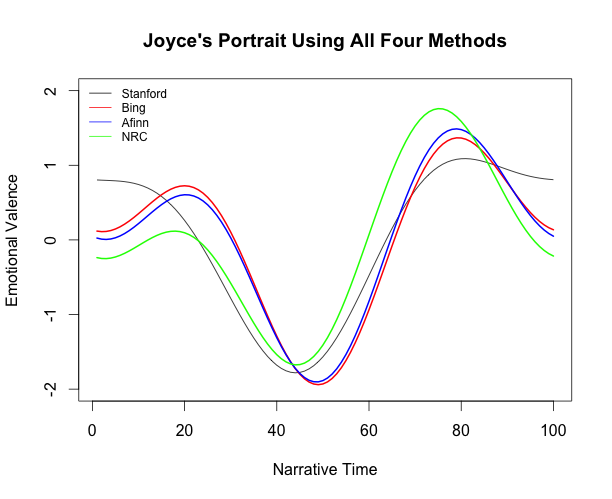 Even minor variations in search terms will yield different displays of text. 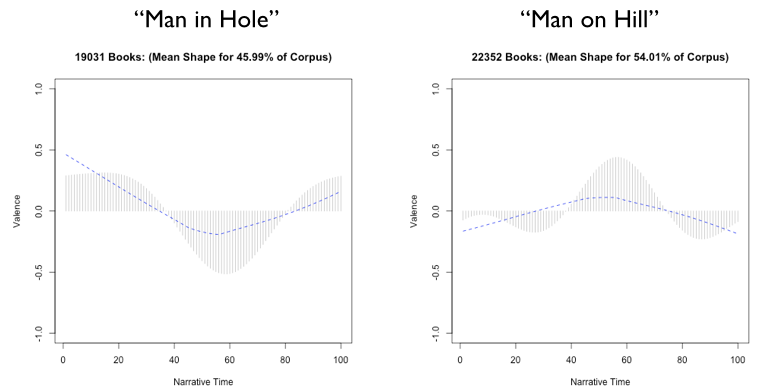 . . Google displays snippets from each book, except that it withholds display of 10% of the pages in each book and of one snippet per page. . .Thus, Google makes the vast majority of the text of these books—in all, 78% of each work—available for display to its users. I decided to test the Guild’s assertion, and what better book to use than my own: Macroanalysis: Digital Methods and Literary History. In the “Preview,” Google displays the front matter (table of contents, acknowledgements, etc) followed by the first 16 pages of my text. I consider this tempting pabulum for would be readers and within the bounds of fair use, not to mention free advertising for me. The last sentence in the displayed preview is cut off; it ends as follows: “We have not yet seen the scaling of our scholarly questions in accordance with the massive scaling of digital content that is now. . . ” Thus ends page 16 and thus ends Google’s preview. According to the author’s guild, however, a visitor to this book page can access much more of the book by using a clever method of keyword searching. What the Guild does not tell us, however, is just how impractical and ridiculous such searching is. But that is my conclusion and I’m getting ahead of myself here. . .
Now why is this mistake of mine important to note? 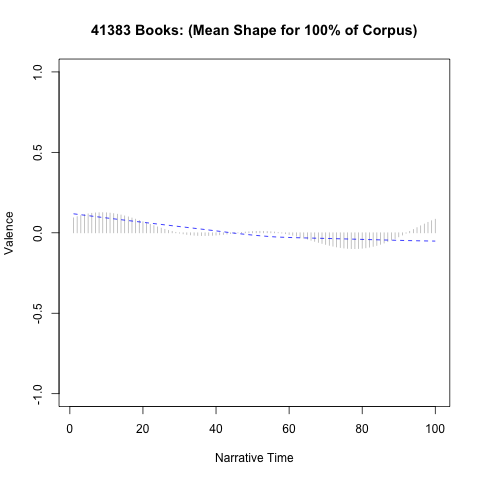 Reading 78% of my book online, as the Guild asserts, requires that the reader anticipate what words will appear in the concealed sections of the book. When I entered the word “available” into the search field, I was hoping to get a snippet of text from the next page, a snippet that would allow me to read the rest of the sentence. But because I guessed wrong, I in fact got non-contiguous snippets from pages 77, 174, 72, 9, 56, 15, 37, 162, 8, 4, 80, 120, 154, 46, 133, 79, 27, 97, 147, and 17, in that order. These are all the pages in the book where I use the word “available” but none include the rest of the sentence I want to read. Ugh. Without the full text by my side, I’d be hard pressed to come up with the right search terms to get the next snippet. Luckily I have the original text, so I enter the word “massive” hoping to get the next contiguous snippet. Six snippets are revealed, the last of these includes the sentence I was hoping to find and read. 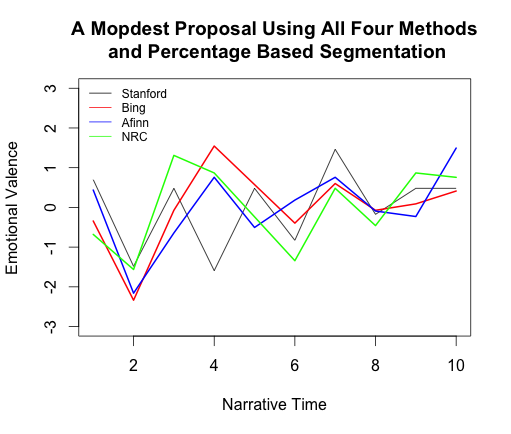 After the word “which,” I am rewarded with “these massive corpora offer new avenues for” and then the snippet ends! Crap, I really want to read this book for free! So I think to myself, “what if instead of trying to guess a keyword from the next sentence, I just use a keyword from the last part of the snippet. “avenues” seems like a good candidate, so I plug it in. Crap! The same snippet is show again. Looks like I’m going to have to keep guessing. . . Thank goodness I have tenure and nothing better to do! The next word is surely the word “result,” which I now dutifully enter into the search field. Among the 32 snippets that the search returns, I find my target snippet. I am rewarded with a copy of the exact same snippet I just saw with no additional words. Crap! I’m going to have to be even more cleaver if I’m going to game this system. Back to my copy of the book I turn. The sentence continues “as a result of a traditional training,” so I enter the word “traditional,” and I’m rewarded with . . . the same damn passage again! I have already seen it twice, now thrice. My search for the term “traditional” returns a hit for “traditionally” in the passage I have already seen and, importantly, no hit for the instance of “traditional” that I know (from reading the copy of the book on my desk) appears in the next line. How about “training,” I wonder. Nothing! Clearly Google is on to me now. I get results for other instances of the word “training” but not for the one that I know appears in the continuation of the sentence I have already seen. 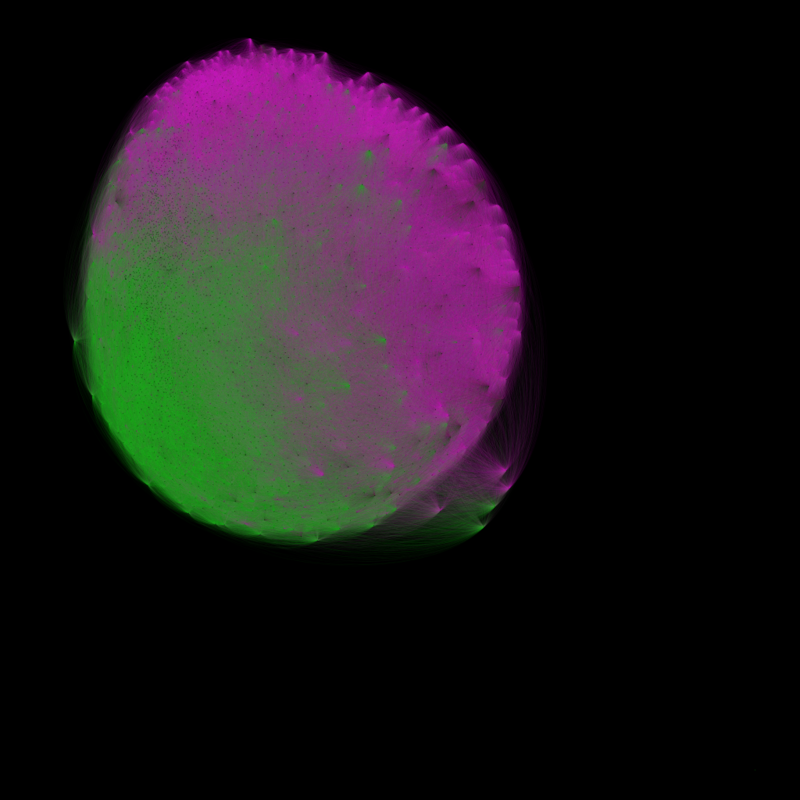 Well, this certainly is reading Macroanalysis the hard way. I’ve now spent 30 minutes to gain access to exactly 100 words beyond what was offered in the initial preview. And, of course, my method involved having access to the full text! Without the full text, I don’t think such a process of searching and reading is possible, and if it is possible, it is certainly not feasible! But let’s assume that a super savvy text pirate, with extensive training in English language syntax could guess the right words to search and then perform at least as well as I did using a full text version of my book as a crutch. My book contains, roughly, 80,000 words. Not counting the ~5k offered in the preview, that leaves 75,000 words to steal. At a rate of 200 words per hour, it would take this super savvy text pirate 375 hours to reconstruct my book. That’s about 47 days of full-time, eight-hour work. I get it. Times are tough and some folks simply need to steal books from snippet view because they can’t afford to buy them. I’m sympathetic to these folks; they need to satisfy their intense passion for reading and knowledge and who could blame them? Then again, if we consider the opportunity cost at $7.25 per hour (the current minimum wage), then stealing this book from snippet view would cost a savvy text pirate $2,218.75 in lost wages. The eBook version of my text, linked to from the Google Books web page, sells for $14.95. Hmmm?